XD Yay~ finally~ My first Black Cat wallpaper~! That's really a nice wall! 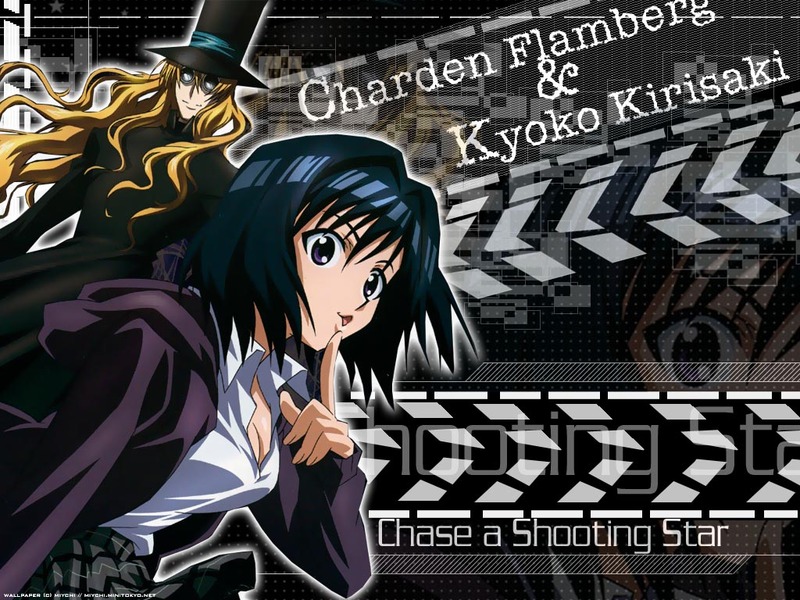 >___< Kyoko and Charden are very beautiful together (even if I prefer Kyoko x Kuro-sama! Dd)! hey that a anwson wallpaper. This wallpaper looks very well done, seems like it's professionally done! I like Kyoko, the character is so funny! she looks like a normal schoolgirl but she has so much power with her firing breathing ability! I wanted them to play an active part in animation a little more. Great wallpaper! I am a Kyoko fan too! I think she is hot stuff! Thanks for sharing this! I like the way the background looks.